Last week we had the opportunity to try out our new range of sugarpastes from culpitt and Squires, which are now available in our Sugarbliss Cake Decorating Shop, Knowle, Solihull. During our last wedding cake class and our beginners cake decorating course, our Sugarbliss cake decorating students were persuaded to try out our new sugarpastes. We all agreed both of the pastes were excellent both in texture and ease of use. We particularly liked the bridal white and vintage ivory by Squires as the colours are perfect for any wedding cake. There is always an element of personal preference with any sugar paste but both these pastes are available in a range of sizes from 250g to 5kg and a comprehensive colour range. 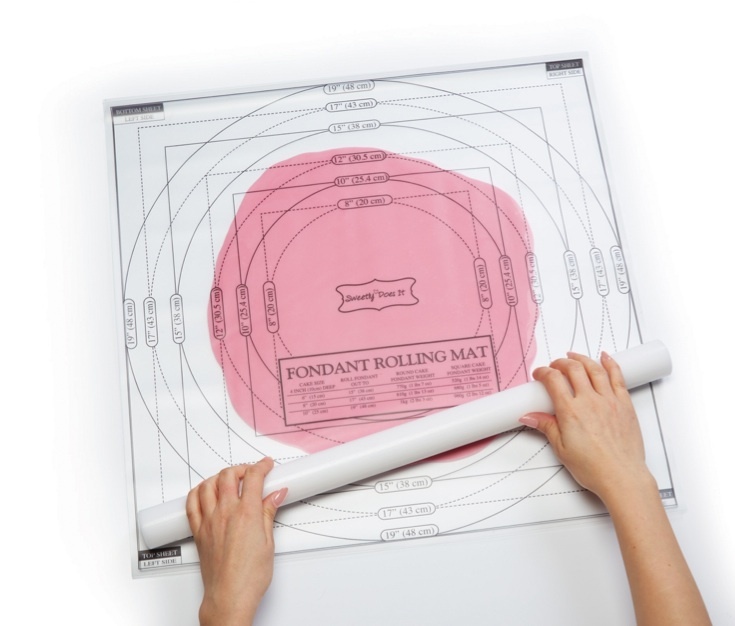 They are smooth and very easy to use for decorating your cakes, cupcakes and cookies. 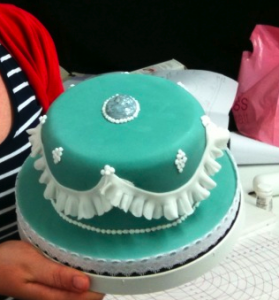 This week saw our the start of our first Wedding Cake Course for 2013. This popular course runs through out the year and teaches our students everything they need to know, to create their very own eye catching centre piece. Each of our 3 hour lessons, are tailored and built around an individuals standards, needs and abilities. 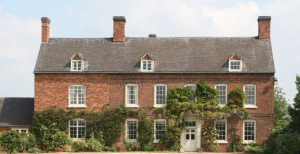 We start off by finding out what each person wants to achieve out of our wedding cake course. For some, it will be learning how to put together a cake from start to finish, for others it may be a particular design on a wedding cake that they have in mind to make in the near future. The first lesson is all about structure and stability which is one of the most important skills to learn if you want to create a flawless tiered wedding cake. This week has also been extremely busy in our Cake Decorating shop, as the wedding cake season swings into full steam! We have many different shaped cake tins to hire, to help any wedding cake designer create their perfect wedding cake design. We have a fantastic range of new cake decorating moulds, to create stunning and professional wedding cake designs, as well as, a large selection of edible cake decorations, wedding cake decorations and wedding cake toppers. One of our favourite is the medium and small bead mould which is just perfect for finishing around any tiered cake. 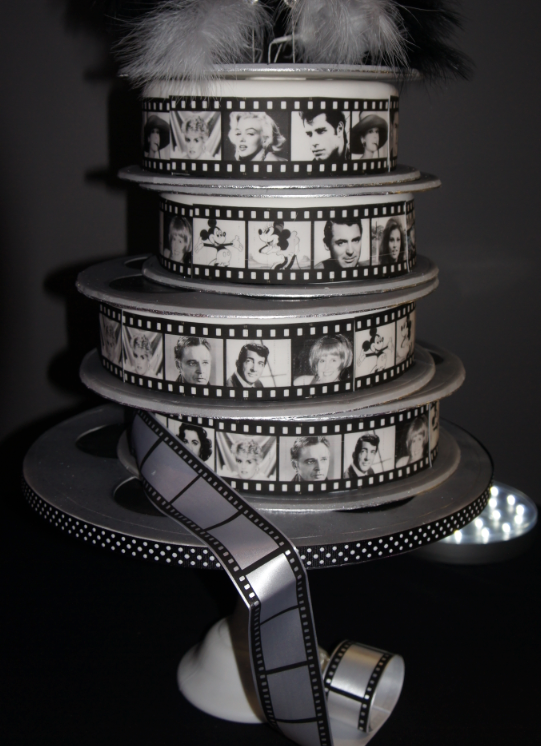 This weekend we will be showcasing many of our new Sugarbliss wedding cake designs for 2013, at the fabulous Aston Villa Football Stadium between 11am – 5pm Saturday & Sunday. Last year this amazing wedding exhibition saw over 600 brides and grooms attend. This year we will also be bringing some of our new cake flavours for everyone to sample. We really hope you can come and try our new cake recipes and we look forward to seeing you all at the show. We are very pleased to be releasing our new Half and Full Day Beginners Cake Classes. These classes will be held on a Wednesday morning and afternoon throughout January & February. If you would like to book onto one of our popular cake decorating classes, or would like to find out more about our classes please contact us. Our Half Day Classes cost £45 & our Full Day Classes cost £90. 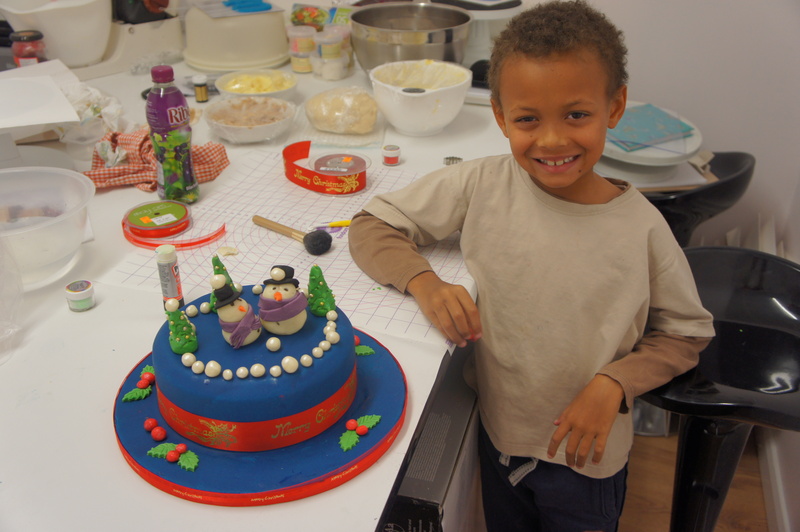 Our Children’s Cake Decorating classes are also now available to book throughout 2013. Here we teach simple cupcake icing techniques and demonstrate basic sugarpaste modelling to make decorations for cakes. 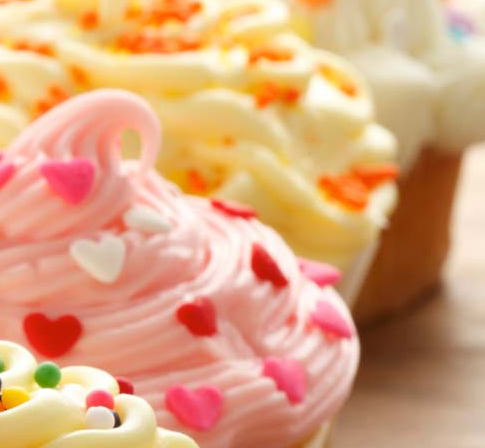 We’ll provide 4 already baked chocolate and vanilla cupcakes and be on hand to help throughout the class. Many already made icings and sprinkles will be available to ensure each cake is different than the previous one to take home in a box. The children’s cupcake decorating classes are 1.5 hours long and we will teach the whole decorating process from start to finish SugarBliss style! 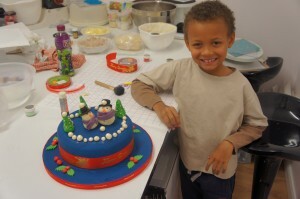 All ingredients and materials are supplied by SugarBliss Cake Company for the children’s class. Cost £15 (1.5 hour Class.) If you would like to find out more about our Children’s cake decorating classes, please contact us or pop into our cake decorating shop.